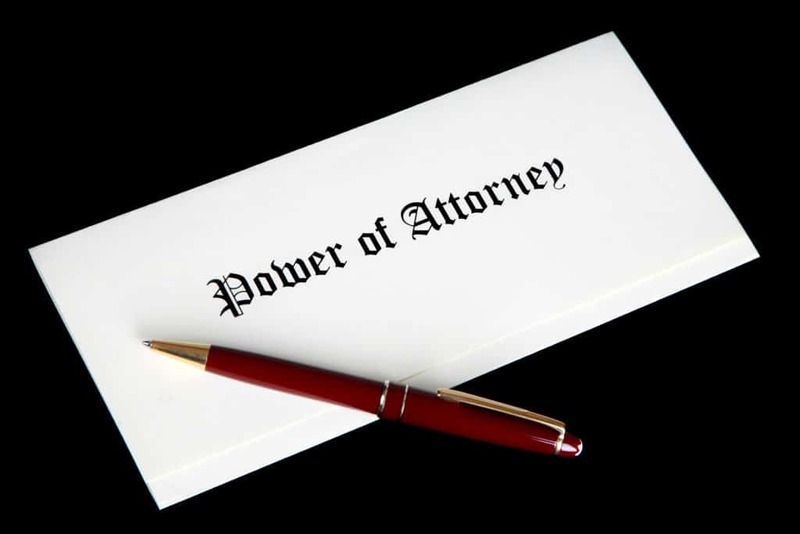 A power of attorney is a legal document that allows a person, the agent, to act on behalf of the person who signed the power of attorney, who is also known as the principal. These documents do not grant unlimited powers to the agent. Instead, the agent is given many responsibilities when the power of attorney goes into effect. A financial power of attorney allows the agent to make financial decisions, including the ability to manage your financial and real estate assets, including selling your home. A health care or medical power of attorney allows the person acting as the agent to give or withhold consent for medical procedures. A mental health power of attorney allows the agent, in conjunction with mental health providers, to determine whether the principal should be admitted to a psychiatric medical facility. The most important duty of an agent is the duty to act, and to continue to act, with the best interests of the principal in mind and in accordance with the principal’s wishes. The agent may not use the principal’s bank account or other financial assets purely for his or her own gain. The agent has a fiduciary duty to act only on behalf of the principal. For example, the agent may make decisions on behalf of the principal to pay the principal’s rent or mortgage, hire workers to perform maintenance on the principal’s home and if it’s in the principal’s best interests, to sell the home if the principal is no longer able to live there. The agent is allowed to draw a reasonable amount of funds from the account to compensate him or herself for the time and efforts spent managing the principal’s accounts. However, the principal’s bank account is not the agent’s personal bank account. An agent in a health care power of attorney document has the duty to act responsibly towards their principal’s health wishes. Even if the parties have different moral stances, the agent’s actions must align with the principal’s wishes. The health care agent also determines when to pull the plug. You can give your health care agent guidance by signing a living will. The authority to act in the power of attorney document is limited by state law and can be further limited when the document is drafted. For example, Arizona law requires that the agent who has authority through a mental health power of attorney must comply with the statutes regarding what steps must be taken before committing the principal to psychiatric care. A power of attorney document can also be drafted so that an agent can only perform certain actions or stipulate that it is only valid for a certain period of time. For example, it’s common for someone studying or working abroad or serving overseas in the military to sign a power of attorney assigning an agent back home to handle their day to day bank transactions. An additional limitation is that the power to make decisions on behalf of the principal ends upon the death of the principal. The only exception to this comes in the health care power of attorney, which allows an agent to make decisions regarding the principal’s bodily remains after the principal dies. The biggest limitation on a power of attorney is that it can only be signed when the principal is of sound mind. This means you should act before it is too late. If the principal is unable to make decisions, the principal’s family will need to go to court to become a court appointed guardian before they can make financial or medical decisions. This can be much more time consuming and expensive than signing the papers while the principal is still mentally capable. It is vital to acquire and sign power of attorney documents before it is too late. Picking the proper agent is an important consideration when preparing your power of attorney documents. After all, the agent will have an important responsibility to ensure that you are taken care of when you can no longer take care of yourself. Often, people will select a family member – a sibling, an adult child or a grandchild – to act on their behalf. You should select an individual who is in a position to accept ongoing responsibilities and can provide long term care as needed. Selecting one child over another does not mean that you do not love your children equally. It means you are looking out for your best interest. Your financial agent must be financially savvy, so if one of your children is irresponsible with money, you should not assign this responsibility to them. When you meet with your estate planning attorney, discuss the specific authorities, duties, and limitations that your agent will be bound to when the documents go into effect. Have a serious conversation with your future agent so they understand your wishes and the responsibilities they are agreeing to take on. When you are ready to put together your power of attorney documents, contact us and we will schedule a personal consultation with Sue Sandys.